Ssstories is an anthology of fifty-four stories and poems written by twenty authors. 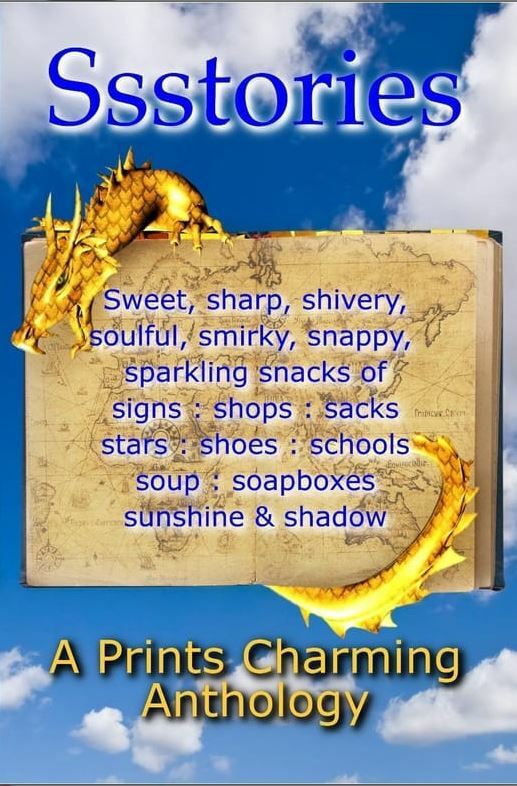 Every story has a theme and subject somehow related to two of the following: sweet, sharp, shivery, soulful, smirky, snappy, sparkling, signs, sighs, shoes, soup, schools or soapboxes. When editor, Sally Odgers allocated my two topic pairs – soulful + soup and shoes + soapboxes – half-formed stories already lurking in my mind instantly sprung to life. Soup For Bones examines the fallout of emotions a young family is experiencing following the loss of their grandfather from the point of view of his young grandchild and is ultimately about family relationships. Concrete Boots (also featured in Short and Twisted 2017) also explores the emotional grieving responses a young child has following the loss of a family member, this time, their baby sibling. Concrete Boots won first prize the Charlotte Duncan Award 2016 earning the following feedback from judges. This is a stirring short story collection featuring gentle stories for the very young to edgier tales for older children. A few are YA. Each piece has a suggested reader-age.